lift the burden off hr so they can get back to what they do best…building a strong workforce. Hiring, onboarding, benefits administration, performance reviews…all fall onto the shoulders of Human Resources (HR). Add that to the constantly changing labor laws and regulations, and it’s a heavy burden. 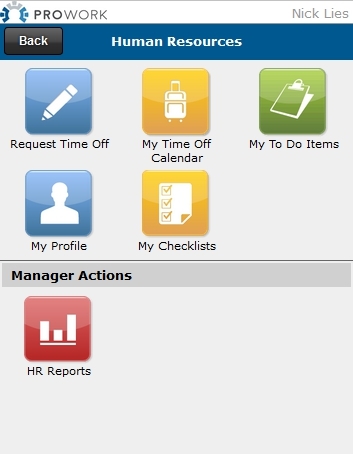 Give HR a lift with this powerful application that helps streamline and automate operations. Self-service capabilities allow employees to handle more HR-related tasks directly, helping cut down interruptions. When automating and streamlining your HR management application, HR professionals can shift their focus from time-consuming tasks to what they do best—growing and developing a winning workforce. 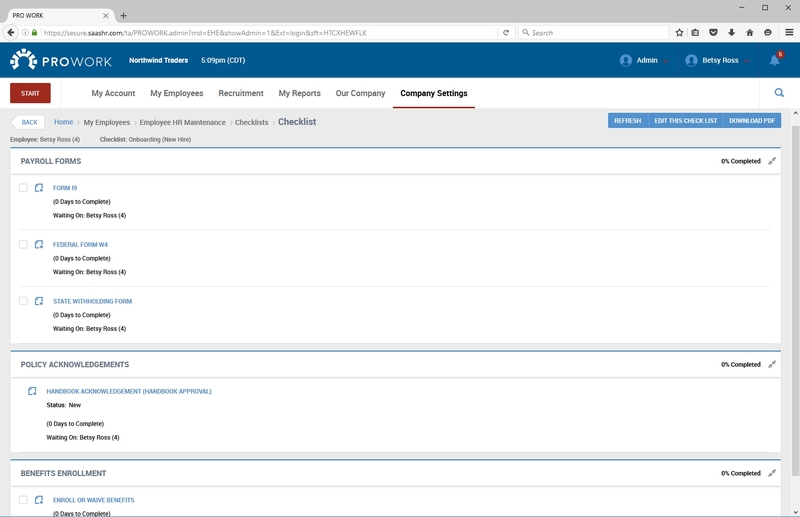 Our HR management application offers many options to help your team. See below for details. Streamline the collection of W-4/I-9 data with a secure web-based form. 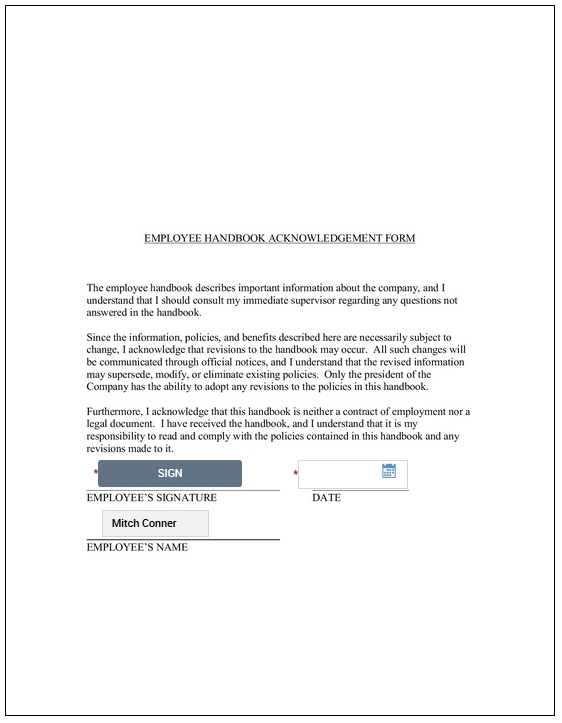 The forms can be filled out and signed electronically during the onboarding process. 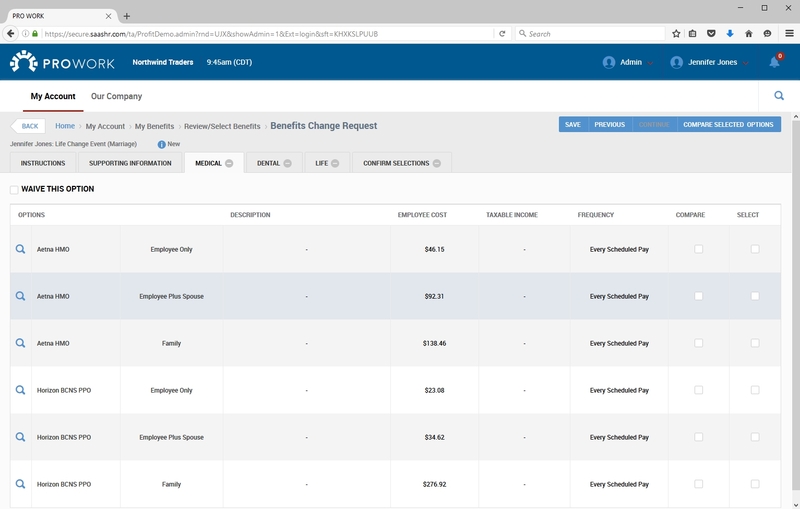 After it is submitted and processed, the employee’s payroll status is updated automatically. With this time-saving service, you can verify a new employee’s name and Social Security number right from our system…without going to an external website. Just click a button, and you’ll get instant verification whether or not the employee’s information is valid. This service is available through an integration with the Social Security Administration’s Business Services Online program. This allows organizations and authorized individuals to submit confidential information to the SSA. Employee benefit enrollment no longer has to be a chore. We offer a Web-based, self-service enrollment solution for all your employee benefit needs, including medical, dental, prescription drug, vision, life, disability, retirement, and many more. 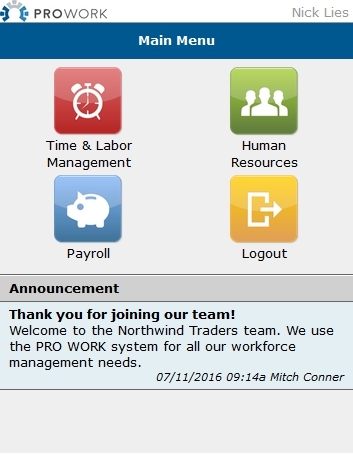 New employees can sign up during their new hire enrollment period. Existing employees can enroll during open enrollment, or, if applicable, create qualifying events outside of the open enrollment period. 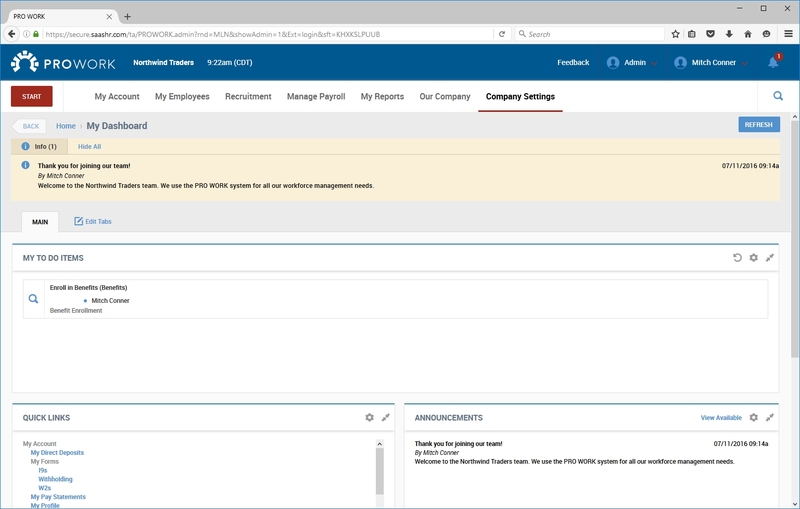 Email notifications are configured to alert management of enrollment requests as well as new hire and dependent eligibility rules. 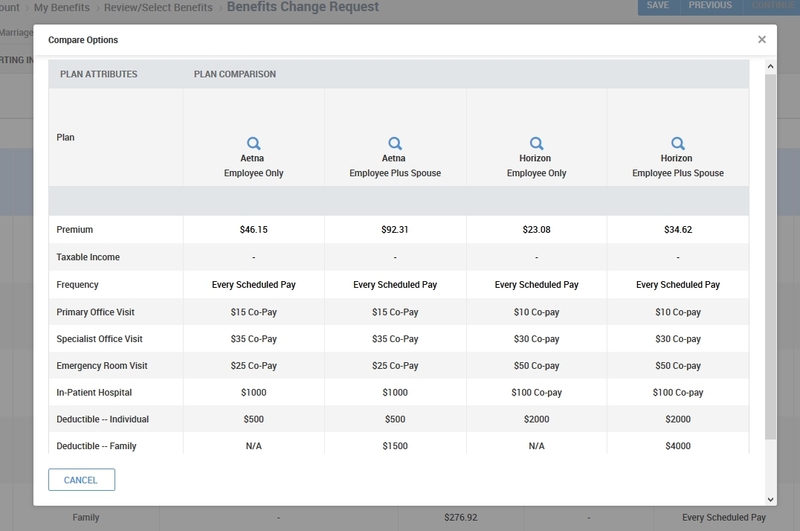 Electronic file feeds of enrolled employees can be configured to automatically send to your carrier. This helps avoid common oversights such as forgetting to report new or terminated employees. Keep track of valuable items issued to employees, such as equipment, laptops and tablets. Our asset management tool lets you assign items to employees, so you know who has them when you need them. Performance reviews help you evaluate employee progress, appropriately reward high performance by way of raises, identify areas for further training and development, and promote the right people into the right positions. To be effective, there should be a formal process in place that allows for feedback. Our system allows you to create customized performance reviews with goals, ratings and competencies. 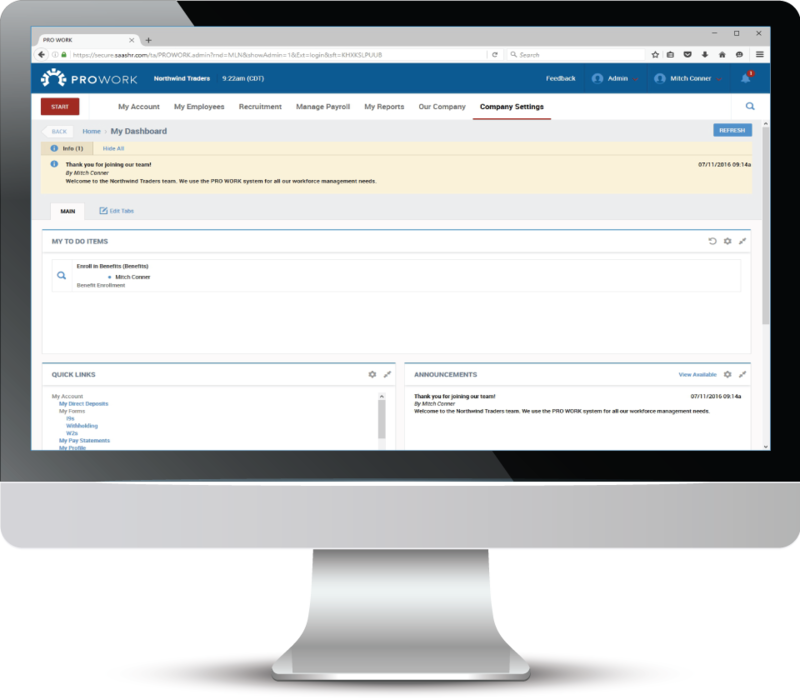 You can easily schedule the review with the employee and designated supervisors, with email notifications to keep everyone in the loop.